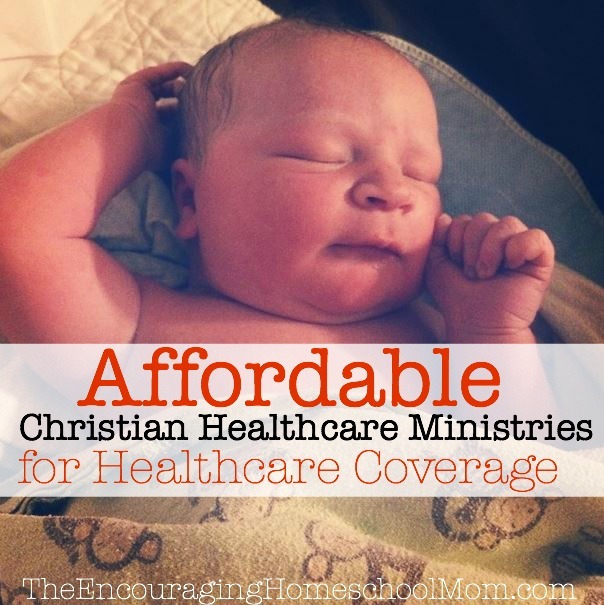 Affordable Christian Healthcare Ministries for Healthcare Coverage Video + Our Review! I know that with rising health care costs many families are looking for affordable healthcare coverage. We’ve been with Christian Healthcare Ministries since 2013. I’m republishing my 2015 post to pass this helpful information on to your family if needed. Important Note because we live in a crazy world 🙂 – This is my family’s story of how we save money on healthcare costs by cost-sharing with a ministry called Christian Healthcare Ministries. I’m not a healthcare expert or advisor. I’m not a tax advisor. I’m not a financial advisor. I’m just a homeschool mom figuring out how to provide healthcare coverage for my growing family of 9 on a self-employed income. Please continue to do your own research for your family’s needs. I also use my Christian Healthcare Ministries refer-a-friend link in this article. That means if you go through my link and use my referral # of 162258 and sign up for CHM, after your third payment to CHM, my family will be blessed with a free month of coverage. I’ve already had two friends sign up and use our refer-a-friend number. Both times were a huge blessing. THANK YOU! In June 2013 we took a leap of faith and became a 100% self-employed family. My husband and I had been waiting and praying on exactly what the Lord would have us do (you can read here about How Blogging Brought My Husband Home Full-Time and here about How I Support My Growing Family of Nine Online) . While we waited and prayed, I priced out several traditional healthcare options. We could have gone with a higher deductible traditional insurance plan. I knew with any healthcare coverage, in addition to the monthly premiums, there would still be co-pays and deductibles to consider. I considered that even with the various traditional insurance plans we had in the past, some considered “good” and some considered “not-so-good,” we’ve always had medical expenses. Even after Amelia’s birth we still had close to $2,000 once co-pays and deductibles came into play. That was a “good” plan. I had also read my friend Amy’s stories of using Christian Healthcare Ministries for her growing family over the years and the success they’ve had with the coverage. This led me to the Christian Healthcare Ministries site, digging through their How it Works page, sifting through the coverage program options. One of the main things I liked about the program was that our monthly membership fees would go to pay the medical expenses of other Christian families. Another thing I liked about the program was it still counts as health care coverage under the affordable care act. We knew that Christian Healthcare Ministries is not health insurance. It’s a Christian cost-sharing ministry with over 120,000 members that has shared millions of dollars in healthcare costs over several decades. After reading through the information, Travis and I felt that CHM was a good choice for our family. We wouldn’t have to worry about rising health care costs or expensive health insurance policies. The monthly payments were affordable for our budget and left us enough room to work on our debt freedom goals. 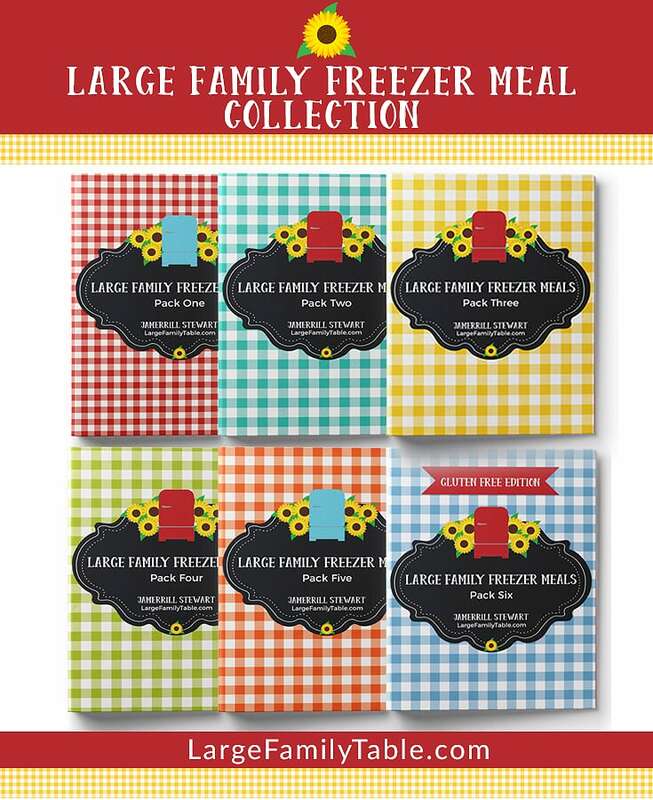 We chose the highest level of sharing the CHM offers. The program we decided to go with was the GOLD program. The cost breakdown is $150 for me, $150 for my husband, and $150 for our children. We also added on the Brother’s Keeper Catastrophic Bills Program. The monthly payment we went with was $450 a month for our then family of 8 (our payment is still the same for our family of 9), plus our quarterly Brother’s Keeper share of about $75. We’ve been with CHM now for almost two years. In that time we’ve had one child with a broken finger. His office visits and care came in under $500 so we didn’t turn in any invoices to CHM ($500 was our out-of-pocket “share” amount). For other doctor’s appointments, mainly an annual physical as needed, we ask for a cash-paying discount (some doctor’s offices will offer a discount for patients paying cash). In the case of Daniel’s birth, he was my first natural birth through the natural birthing center (you can read my natural birth story here). I turned in my invoice for our care including my prenatal, birth, and postpartum care of $3,400.00. Within 90 days we received a check of $2900.00 – minus our $500 share amount. I was thrilled with the outcome! Even though I’ve read great testimonies of families using CHM, it was our first experience turning in a claim. In the video, I mention my friend Amy’s article on Christian Healthcare Ministries. You can read her post on Christian Healthcare Ministries as an Alternative to Traditional Insurance and Affording Kids – Keeping Them Healthy. Amy is one of my very favorite bloggers and encouragers! So, friends, that’s the nuts and bolts of my family’s experience using CHM so far. We’ve only had one major claim, which was Daniel’s birth and care. I will surely continue to let you know our coverage experience in the future. How do you save on healthcare coverage? Have you ever had to pay for it out of pocket before? We just joined CHM this April. Wish we would have done it sooner, like years ago! I remembered seeing it in one of your post and then a friend from our church joined last year. We talked to them and with the rising cost of health insurance we were convinced this was a better way. Not only less money per month but it’s helping other fellow Christians. So glad we can help others instead of the corporate insurance companies.